Salt and Sanctuary, a game heavily inspired by the exploration, combat, and hellish despair of the Souls series, first made its way to the PlayStation 4 just over two months ago. Its developer, Ska Studios, was largely unfamiliar Sony's line of consoles, what with the majority of their titles hailing from the Xbox Live Indie and Arcade marketplaces, but their debut on the system made quite the splash. 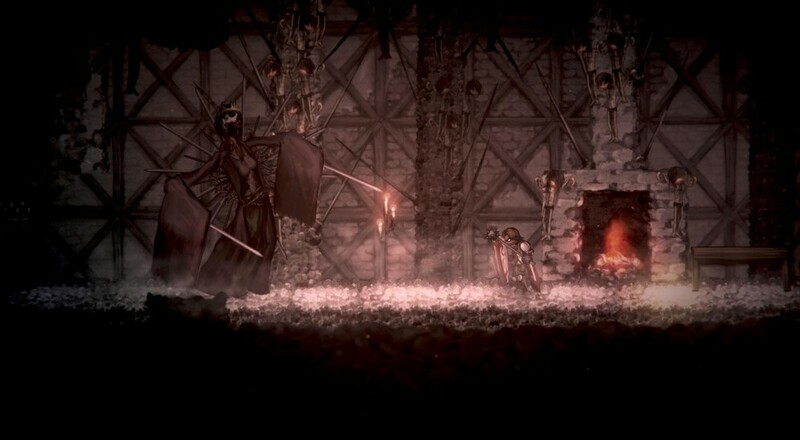 Despite wearing its influence right on its bloody pauldrons, Salt and Sanctuary comes off as more of a love letter than blatant rip-off. Its combat is equal parts unforgiving and rewarding, and its mechanics are just obtuse enough to draw you in. Better yet, it features two player local co-op for those of us who would prefer to wander the Great Unknown with a buddy at our side. Needless to say, its success warranted a port to the PC, which was released just a couple days ago. "Enoch", you say, "I have no idea what this game looks like in action, mostly due to the fact that I refuse to watch footage of anything that didn't take place on a desktop computer. How am I supposed to know whether or not I want Salt and Sanctuary?" I hear you, I hear you. This extremely specific issue is exactly why Taylor and I recorded nearly an hour of gameplay on PC. Check it out! Alright, so here's the deal. You've made it this far into the article, and for that I'm going to reward you with a chance at one of two Salt and Sanctuary PC keys. All you have to do is sign up for the contest by 3 PM EST on May 25th. Then, we'll employ the powers of a hundred mystical hermits (or a random number generator, whichever's easier) and decide which two lucky souls to receive a free copy of Salt and Sanctuary. Page created in 1.0933 seconds.